Skinny dipping world record set by Aussies! 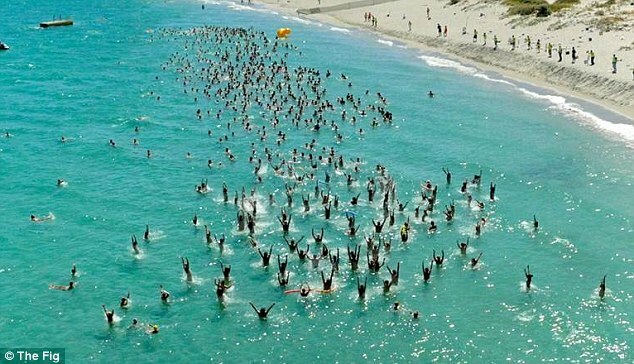 Australians have set a new world record for the number of skinny dippers. 790 naked people made it into the water, so congratulations to all of them. and to realise just how different and beautiful everyone is in the own way,it would have saved me from years of self doubt. Not all will have been ‘naturists’. Indeed, it’s likely that self-confessed naturists will have been in the minority of the 790 dippers.